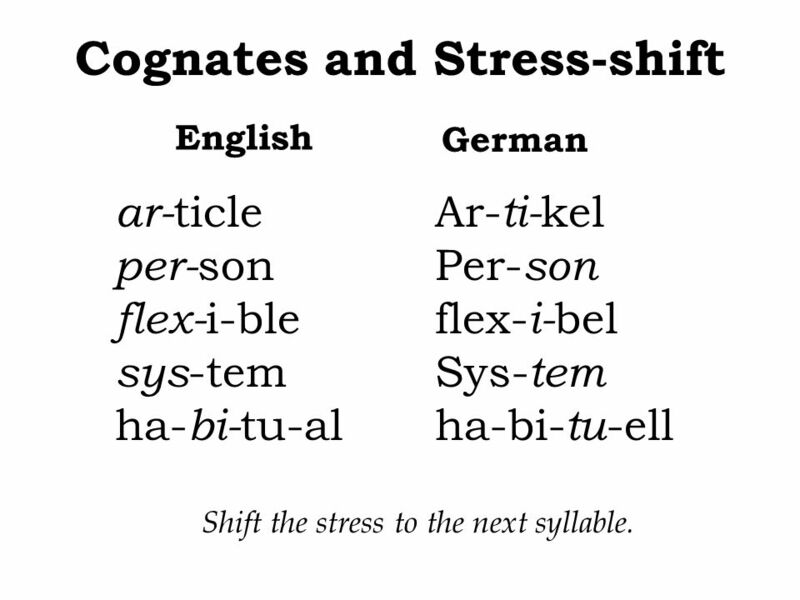 English German ar-ticle	Ar-ti-kel per-son	Per-son flex-i-ble	flex-i-bel sys-tem	Sys-tem ha-bi-tu-al	ha-bi-tu-ell Shift the stress to the next syllable. 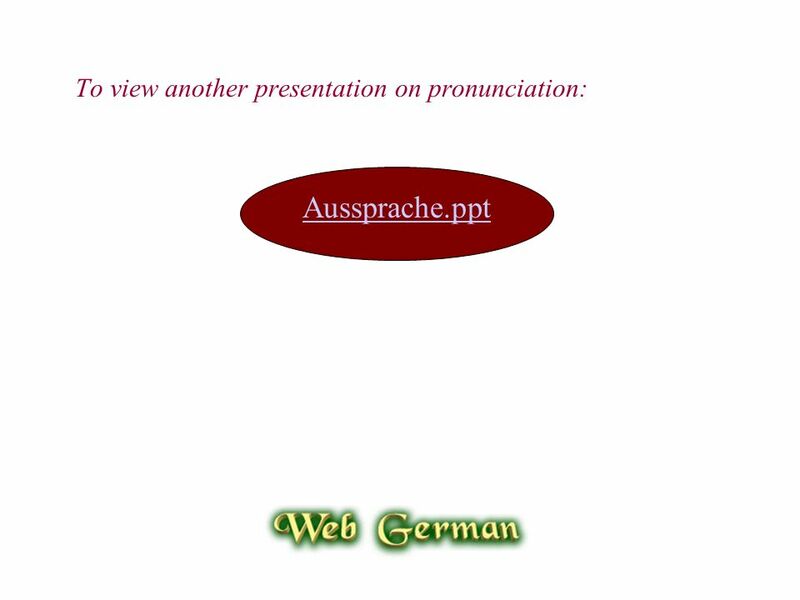 Download ppt "a b c d e f g h i j k l m ah beh Guten Tag! 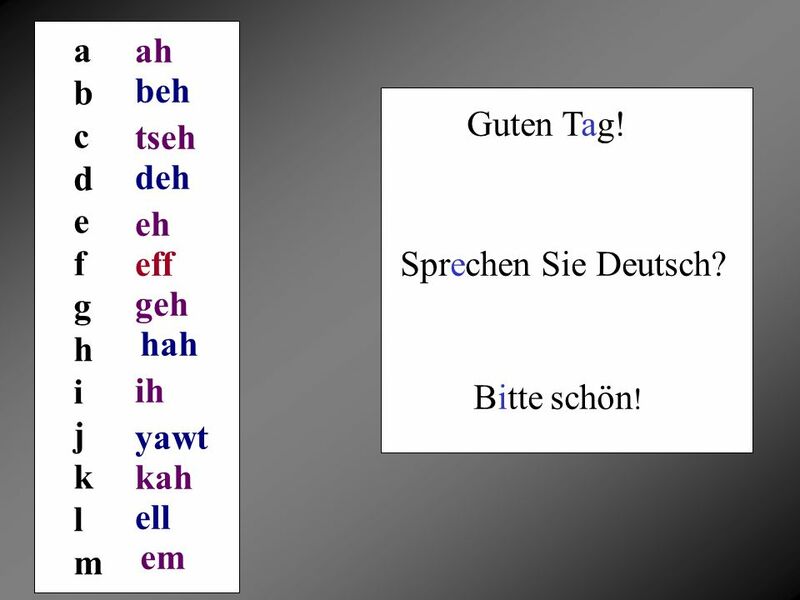 tseh deh eh eff"
The Spanish Alphabet “El alfabeto”. 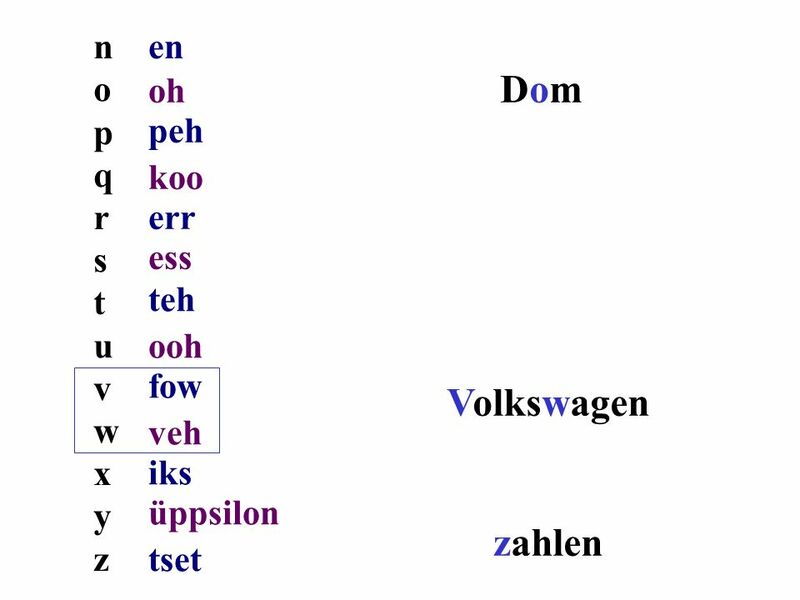 DIE SCHULE By Zach du Toit DER INHALT (The Contents) Click on each one to go to that page: Mein Stundenplan (My Timetable) Morgan (Tomorrow) Unterhaltung. 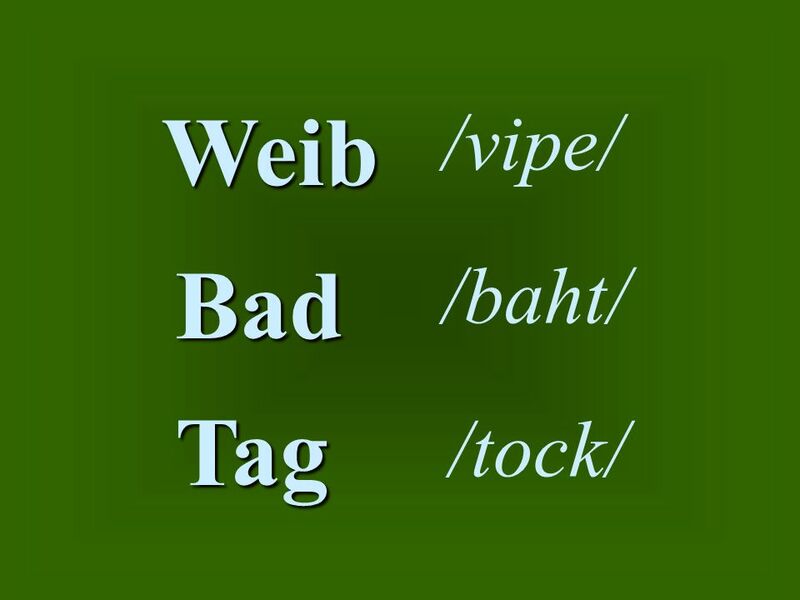 Sprechen Wie heißt du? 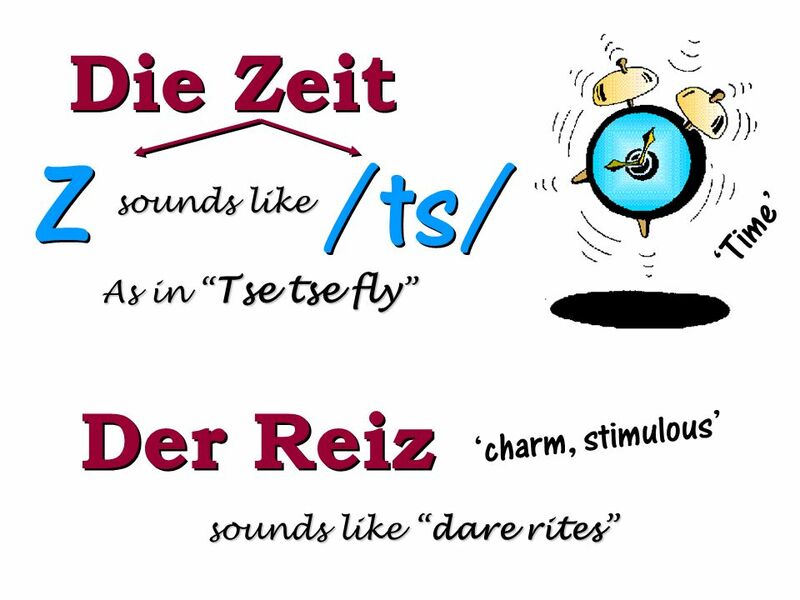 Was bedeutet….? Wie sagt man…..? Take a computer and tell Profe the #. 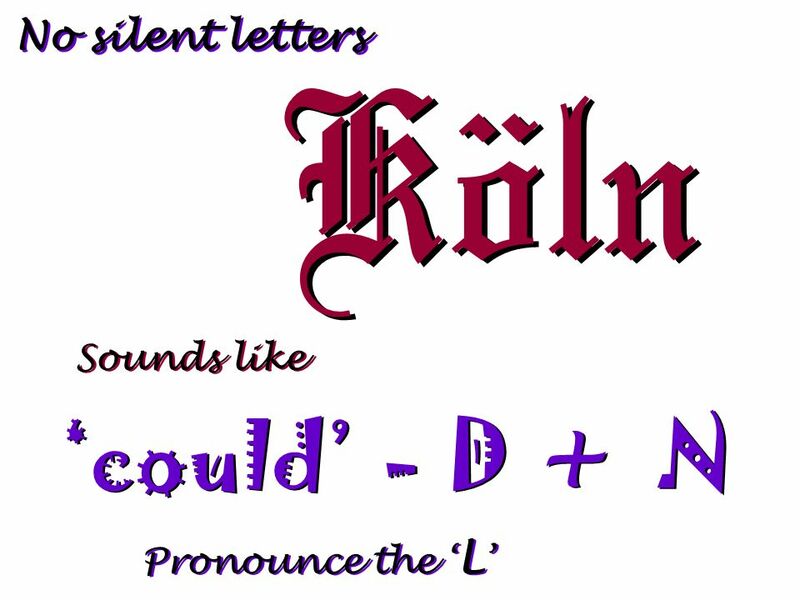 PA Dutch 101 Video 4: The Alphabet and Pronunciation. 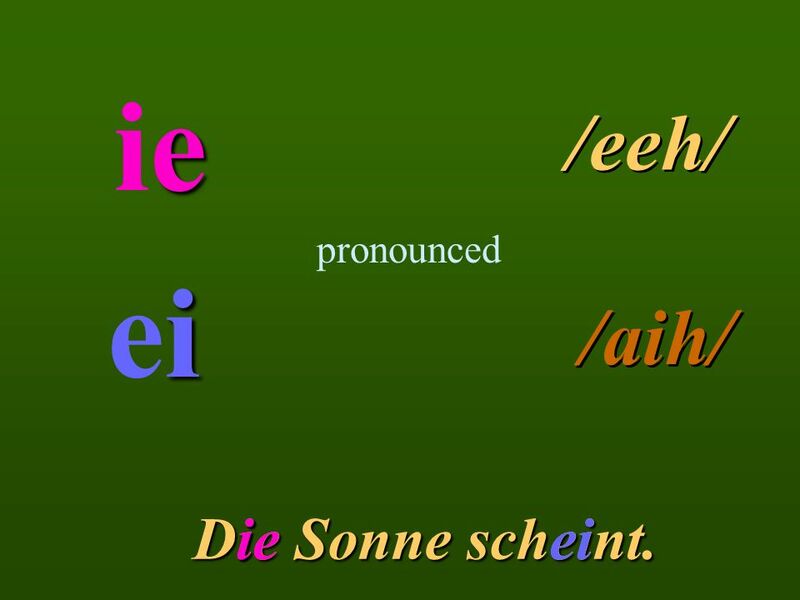 es Ah – Beh - Tset. 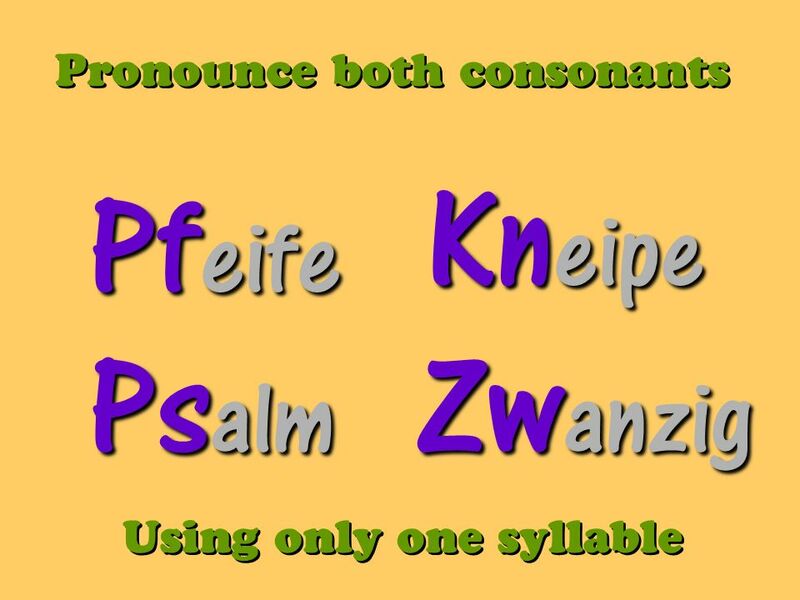 El alfabeto To be able to recognise and say letters of the Spanish alphabet. The Spanish Alphabet “El abecedario”. 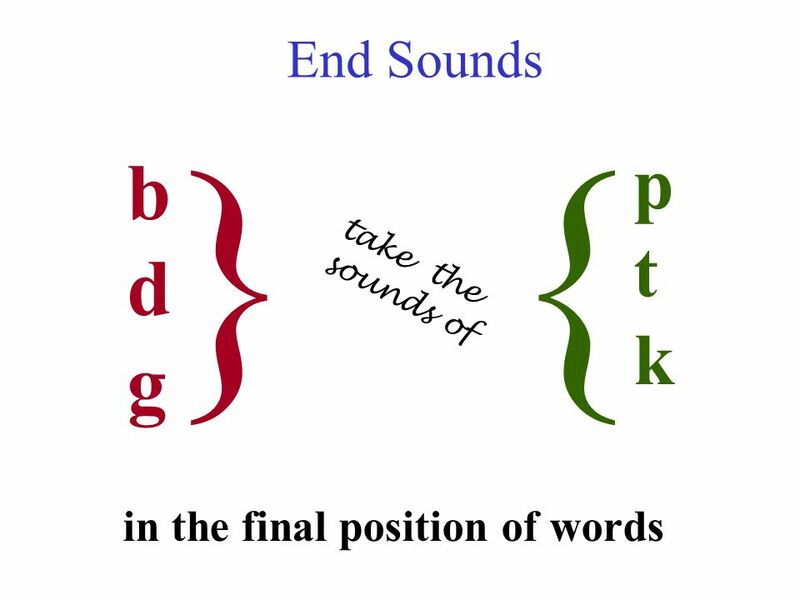 El abecedario Pronunciation Rules When a word ends in a consonant, stress the last syllable. 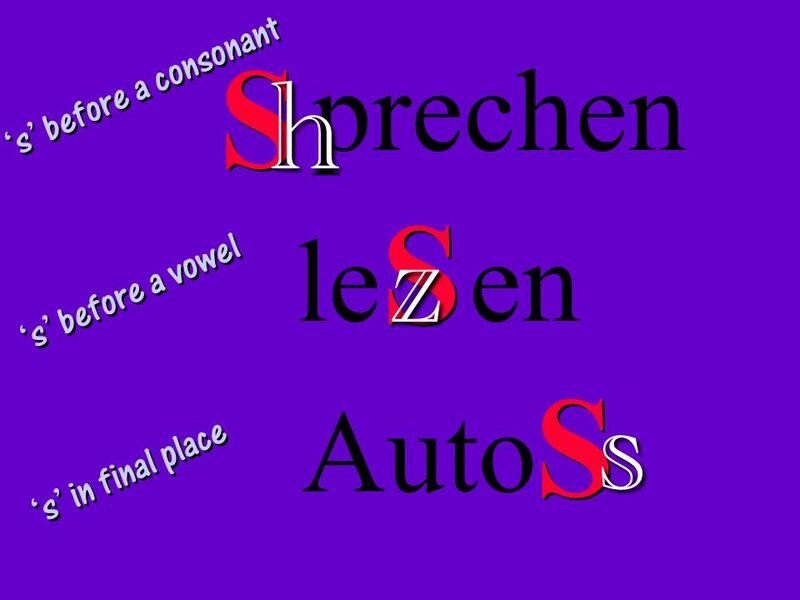 (general – hen ehr AHL) When a word ends in a vowel, stress. 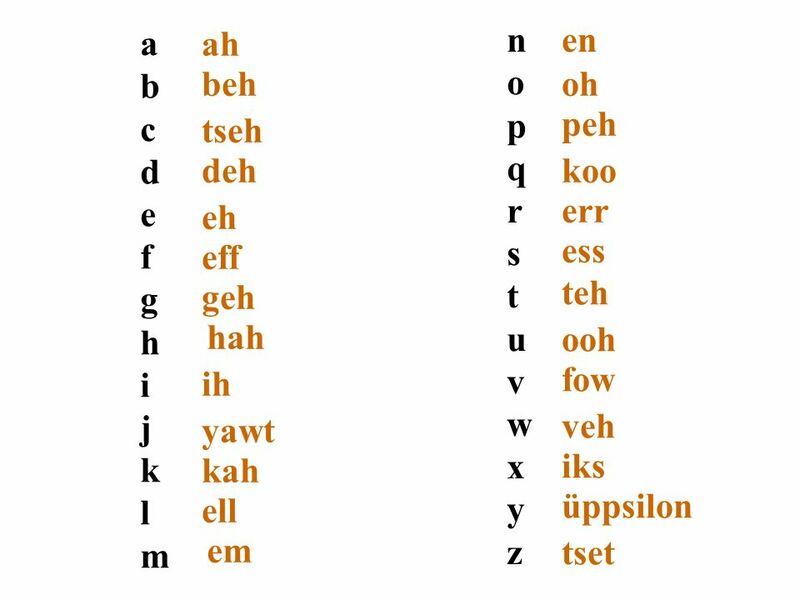 Spanish Alphabet Pronunciation. 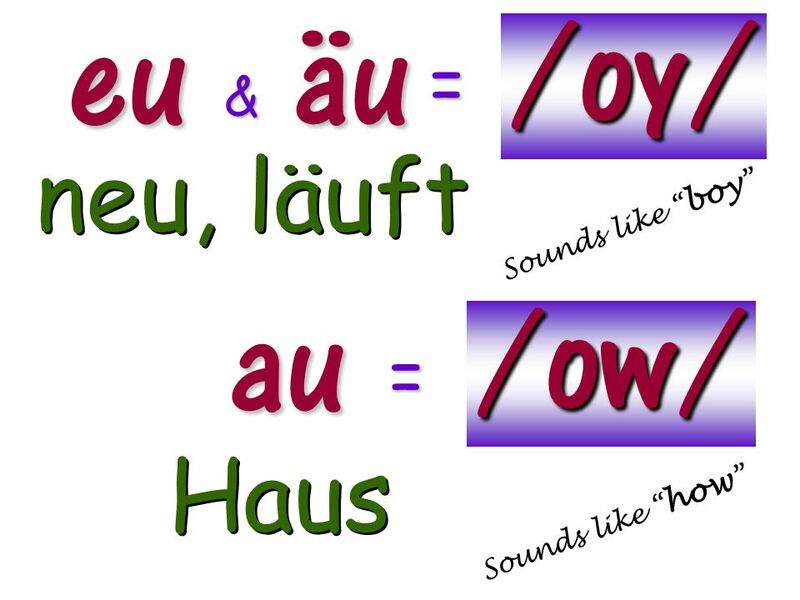 Differences between English and Spanish More letters in Spanish alphabet (30) (29) Different pronunciations Letter sounds. 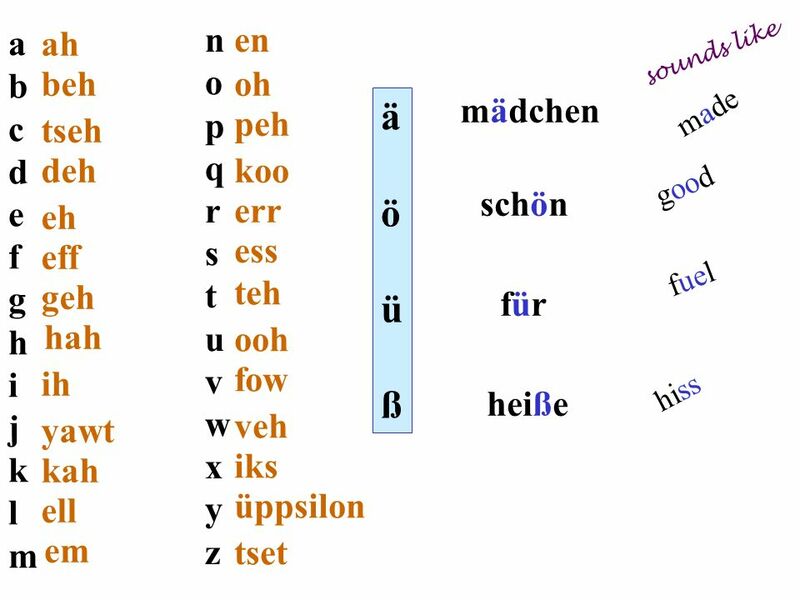 Deutsche Aussprache Diphthongs, Vowels, Consonants, and Consonant Clusters.